SACRAMENTO, CA--(Marketwired - Aug 26, 2014) - Utilizing advanced otoplasty techniques customized for the individual needs and goals of the patient, Sacramento plastic surgeon Charles Perry, MD says he can help create an aesthetically pleasing size and contour for ears considered too large or overly prominent. Available to both children and adults, Dr. Perry says by offering a number of different approaches, he can not only enhance facial harmony, he can also often improve his patients' self-confidence. According to a recent blog post titled, "Incision-less, Single, and Double Incision Otoplasty: What's the Difference?," Dr. Perry utilizes three main otoplasty techniques, each characterized by the number of incisions required. Dr. Perry says he favors the double incision approach, which he notes "often allows for more precise skin removal and cartilage adjustments than single or incision-less surgery." Additionally, he says he "feels that it gives a softer, more natural contour." He also states that he utilizes other methods as patient need dictates. In a follow-up blog post titled, "Recovering From Otoplasty: What to Expect," the Sacramento plastic surgeon discusses the postoperative patient experience. He explains, "Recovery from otoplasty procedure is well tolerated by most patients." 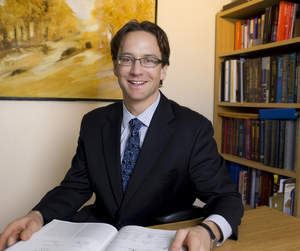 Regardless of the technique implemented, Dr. Perry says ear pinning at his plastic surgery practice can offer numerous benefits for both children and adults, and the healing process is typically brief with minimal discomfort. By emphasizing customized treatment plans and compassionate care, Dr. Perry says he hopes to elevate patients' self esteem levels while achieving their specific cosmetic goals. Ultimately, he says, patients have been very happy with the outcome of otoplasty. Dr. Perry earned his medical degree from the University of Washington, receiving academic honors for all four years he attended. He then relocated to Arizona for his internship in general surgery at Maricopa County Medical Center, followed by his residency in general surgery at the University of Arizona. He completed a plastic surgery residency at the University of Massachusetts before obtaining certification by the American Board of Plastic Surgery. Dr. Perry is a member of several esteemed medical organizations, including serving as a Diplomat of the American Board of Plastic Surgery and a Fellow of the American College of Surgeons. Dr. Perry is available for interview upon request. For more information about Dr. Perry and Chrysalis Cosmetics, visit sacramentoplastics.com and facebook.com/ChrysalisCosmetics.